The term felony, in some common law countries, is defined as a serious crime. The word originates from English common law (from the French medieval word "félonie"), where felonies were originally crimes involving confiscation of a convicted person's land and goods. Other crimes were called misdemeanors. Many common law countries have now abolished the felony/misdemeanor distinction and replaced it with other distinctions, such as between indictable offences and summary offences. A felony is generally considered a crime of high seriousness, whereas a misdemeanor is not. A person who has committed a felony is a felon. In addition, upon conviction of a felony in a court of law, a person is known as a convicted felon or a convict. In the United States, where the felony/misdemeanor distinction is still widely applied, the federal government defines a felony as a crime punishable by death or imprisonment in excess of one year. If punishable by exactly one year or less, it is classified as a misdemeanor. The actual prison sentence handed out has no effect on the classification, which is based on the maximum sentence possible under law. Individual states may differ in that definition by using other categories, such as seriousness or context. Similar to felonies in some civil law countries (such as Italy and Spain) are delicts, but in others (such as Germany, France, Belgium, and Switzerland), crimes are more serious and delicts (or délits) are less serious. In still others (such as Brazil and Portugal), crimes and delicts are synonymous (more serious) and are opposed to contraventions (less serious). 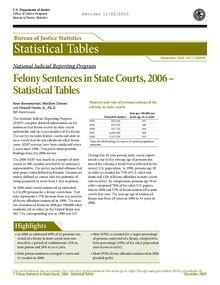 Virginia classifies most felonies by number, ranging from Class 6 (least severe: 1 to 5 years in prison or up to 12 months in jail) through Class 2 (20 years to life, e.g., first-degree murder and aggravated malicious wounding) up to Class 1 (life imprisonment or the death penalty, reserved for certain types of murders). Some felonies remain outside the classification system. Ohio classifies felonies by degree ranging from first, second, third, fourth, to fifth degree. First-degree felonies are the most serious category, while fifth-degree felonies are the least serious. This is broadly the approach taken by the Model Penal Code, although the Code identifies only three degrees of felony. The death penalty for felony could be avoided by pleading benefit of clergy, which gradually evolved to exempt everybody (whether clergy or not) from that punishment for a first offense, except for high treason and offenses expressly excluded by statute. During the 19th century criminal law reform incrementally reduced the number of capital offenses to five (see Capital punishment in the United Kingdom), and forfeiture for felony was abolished by the Forfeiture Act 1870. Consequently, the distinction between felony and misdemeanor became increasingly arbitrary. The surviving differences consisted of different rules of evidence and procedure, and the Law Commission recommended that felonies be abolished altogether. This was done by the Criminal Law Act 1967, which made all felonies (except treason) misdemeanours, and introduced a new system of classifying crimes as either "arrestable" and "non-arrestable" offenses (according to which a general power of arrest was available for crimes punishable by five years' imprisonment or more). The 1937 Constitution declares that the parliamentary privilege, which protects Oireachtas members from arrest travelling to or from the legislature, does not apply to "treason, felony, and breach of the peace". The 1996 Constitutional Review Group recommended replacing "felony" with "serious criminal offence". In many parts of the United States, a felon can face long-term legal consequences persisting after the end of their imprisonment. The status and designation as a "felon" is considered permanent, and is not extinguished upon sentence completion even if parole, probation or early release was given. The status can be cleared only by a successful appeal or executive clemency. However, felons may qualify for restoration of some rights after a certain period of time has passed. Additionally, many job applications and rental applications ask about felony history (with the exception of the Commonwealth of Massachusetts) and answering dishonestly on them can be grounds for rejecting the application, or termination if the lie is discovered after hire. Convicted felons may not be eligible for certain professional licenses or bonds, or may raise the cost of an employer's insurance. It is broadly legal to discriminate against felons in hiring decisions as well as the decision to rent housing to a person, so felons can face barriers to finding both jobs and housing. Many landlords will not rent to felons, although a blanket ban on renting to felons may violate federal housing law. A common term of parole is to avoid associating with other felons. In some neighborhoods with high rates of felony conviction, this creates a situation where many felons live with a constant threat of being arrested for violating parole. Banks may refuse to issue loans to felons, and a felony conviction may prevent employment in banking or finance. The primary means of restoring civil rights that are lost as a result of a felony conviction are executive clemency and Expungement in the United States. For state law convictions, expungement is determined by the law of the state. Many states do not allow expungement, regardless of the offense, though felons can seek pardons and clemency, potentially including restoration of rights. Federal law does not have any provisions for persons convicted of federal felonies in a federal United States district court to apply to have their record expunged. At present the only relief that an individual convicted of a felony in federal court may receive is a presidential pardon, which does not expunge the conviction, but rather grants relief from the civil disabilities that stem from it. Felonies (Verbrechen) are defined as a crime that is punishable with a minimum of one year's imprisonment. Misdemeanours (Vergehen) are all other crimes punishable by imprisonment with a minimum of less than one year or by fine. ^ "§ 18.2-10. Punishment for conviction of felony; penalty". Leg1.state.va.us. Retrieved 19 November 2017. ^ Blackstone, W. (1765). Commentaries on the Laws of England (Book IV, Chapter 7). ^ "CONSOLIDATION AND REFORM OF THE COURTS ACTS" (PDF). Law Reform Commission Consultation Papers (46–2007). Law Reform Commission. 2007: 89, fn.298. Retrieved 12 June 2013. ^ a b "Criminal Law Bill, 1996: Second Stage". Seanad Éireann debates. 26 February 1997. Retrieved 12 June 2013. ^ "Felon Voting Rights". National Conference of State Legislatures. 29 September 2016. Retrieved 7 September 2017. ^ "Loss and Restoration of Civil Rights & Firearms Rights". Restoration of Rights Project. Collateral Consequences Resource Center. May 2017. Retrieved 7 September 2017. ^ Larson, Aaron (7 June 2016). "What is a Felony". ExpertLaw. Retrieved 7 September 2017. ^ "Richardson v. Ramirez, 418 US 24, 94 S. Ct. 2655, 41 L. Ed. 2d 551 (1974)". Google Scholar. Google. Retrieved 7 September 2017. ^ "Massachusetts Law about Criminal Records". Massachusetts Judicial Branch. Commonwealth of Massachusetts. Retrieved 7 September 2017. ^ The U.S. federal government attempts to mitigate issues of bonding through the "Federal Bonding Program". U.S. Department of Labor. Retrieved 7 September 2017. ^ "EEOC Enforcement Guidance: Enforcement Guidance on the Consideration of Arrest and Conviction Records in Employment Decisions". U.S. Equal Opportunity Employment Commission. Retrieved 7 September 2017. ^ Domonoske, Camila (4 April 2016). "Denying Housing Over Criminal Record May Be Discrimination, Feds Say". NPR. Retrieved 7 September 2017. ^ Epstein, Victor (25 July 2013). "FDIC quietly changes rule that cost thousands their jobs". USA Today. Retrieved 7 September 2017. ^ "Restoration of Rights Project". Collateral Consequences Resource Center. Retrieved 7 September 2017. ^ a b "Federal Restoration of Rights, Pardon, Expungement & Sealing". Restoration of Rights Project. Collateral Consequences Resource Center. Retrieved 7 September 2017. Wikimedia Commons has media related to Felons. This page was last edited on 30 March 2019, at 20:06 (UTC).